Learning piano is a wonderful journey and what makes this journey more interesting is the easy layout of keys on its keyboard. 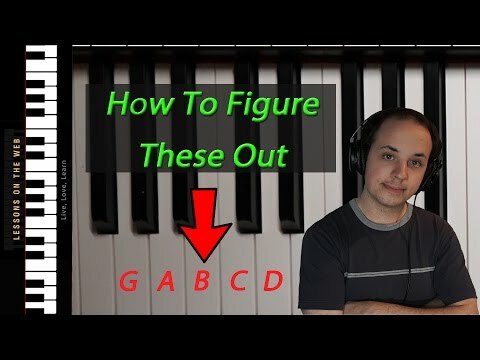 You have all the keys laid in a particular manner that you can learn and play effectively and easily unlike other instruments where you need to work with positions and techniques. Although you can say that just because of a simple layout, piano techniques can be learnt quickly and with ease. But with simple piano keys chart, you can get through the beginning stages of learning piano with much ease. Just get yourself familiar with these keys and notes and you will be good to play some simple pieces in no time. 5 Which number of keys is best for beginners? Piano instrument involves use of a notation format that gives command to produce sound of varied expressions and range. In order to hear some sound from a piano keyboard, you need to play some scales and notes in the form of keys. 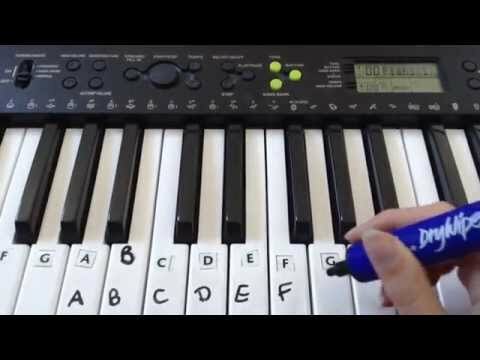 Exact and correct sound reproduction involves correct use of keys on the keyboard with correct technique and necessary intervals. But where did these keyboards originated? An organ like piano with balanced keys has a history dating back to the 1st century A.D. Although, some proper arrangements of musical instrument with keys; were learnt to be from Emperor Constantine King Pepin of France in 757 A.D. During the 11th century, Guide of Arezzo (great music genius) is reported in history to have carried out keyboard stringed instrument application. It was during the first half of that century when his scales, full eight tones along with 7 intervals (including two semitones) were used in first 20 keys clavichords. In around 1540s, semitones were added to instruments by Giuseppe Zarlino but before that there are no records as such. Some art work by Van Eyck reveals that around 14th century, keys of the keyboard were quite narrow and sharps were used. By mid of 14th century, some minor variations in keys’width were made and keys were then black and white. Natural and white note keys were continued to be there as the basic of system. B was usually lowered and that gave rise to additional B flat between A and B. Then after B flat; E flat was introduced followed by C and G sharp. During the 19th century, naturals were then displayed as relatively shorter than their sharps and usually were represented in dark color. The ivory finish that we still see was there during 1700 when piano keys were covered with ivory. Many different materials have been tried for finish that included polished woods, ebony, porcelain, bone, silver etc. but modern piano more often was covered with ivory especially among English and Viennese. Some of the materials were used to simulate ivory and to give pianists a chance to buy cheaper instrument.Even plastic covering was made for both white and black keys but they tend to break. Earlier these keys were more of a decorative box wood step like keys but later during 1830s the design was updated to what we see today in piano keyboard keys. Today modern piano uses chromatic scales and these chromatic keyboards have been experimented in varied ways since the development of this instrument. The basic concept of keys remained nearly consistent although some changes have been made in arrangements over years. As you begin learning piano, you already would know that piano key names are first 7 letters of alphabets including A B C D E F G. These are natural keys and are white colored keys on piano. But remember that white keys can even be flat and sharp. Although all the black keys would be flat or sharp only. When you see piano keys chart closely, C sharp would be one semitone higher than C and it would also be called D flat as it would be one semitone lower than D.
Different number of names can be given to a key. For example if we consider D it is one step higher than C and it is thus called C sharp. At the same time, it is two semitones lower than E so it can also be termed as E double flat. Similarly F is one semitone higher than E and thus it is called E sharp but F is also two semitones lower than G so it is termed as G double flat. F can also be termed as D triple flat following same principle. Two key notes that have same pitch but they are represented on keyboard with different letter names and accidentals are termed as enharmonic notes. These notes are so close in pitch that listeners would not be able to realize the difference. The difference lies in how a composer uses these notes. Enharmonic notes are used in a piece to make the music clearer to performer. One example of enharmonic notes equivalents are F, E sharp and D triple sharp notes. Following piano keyboard chart, you should be able to look for any key on the piano keyboard. Both the black and white keys of a piano are represented by first seven letters of the alphabet but there are certain differences in both these types of keys. Black and white keys are designed in order to give pianists geography and feel for the keyboard. If all the keys were same, it would have been difficult for a pianist to develop the feel. Moreover, it would be difficult to find any key on the piano as every time you need to find a note on the piano; you would have to count all the keys right from the beginning. Although the difference between each key whether black or white is half-step. Black keys are either sharp or flat. They can also be called accidental keys. White keys are all natural keys. These keys are named with first seven letters of the alphabet but the only difference is that a sharp is represented with a (#) and a flat is represented with a (b). Sharp means one note higher and flat means one note lower, These keys are represented in alphabetical order starting with Major C for example C-D-E-F-G-A-B. Black keys appear on the keyboard in the pair of two or three black keys. White keys are a series of whole steps and half steps. Different types of keyboards are oriented towards varied users. It is imperative for a user to understand his/her need and purpose of learning to play piano in order to identify which type would be best choice for them. Here we are highlighting types of keyboards and what kind of layout of keys each one of them has. A piano is a standard full sized piano that has been there for centuries. A piano key keyboard usually includes a full length 88 keys keyboard. Within such keyboard, there will be a total of 36 black keys and 52 white keys. These full sized pianos give you more of a realistic piano playing experience offering close simulation of feel and sound in comparison to a grand piano. Now that you know how many keys are there on a piano, adding further to the layout is the span of over 7 octaves within this type of keyboard. Most common types of pianos include grand piano, baby grand, upright and others. It begins with A and is carried to C.
Many different kinds of digital keyboards are found and the main difference lies in their size apart from all the additional features that they might have. Depending upon the size of your digital keyboard and how many keys are there on a keyboard, a particular layout can be determined. For example some digital keyboards may have 76 keys and some may only have 25 keys. We will be discussing here some of the most common types of digital keyboards with their specific layout of keys. 76 Keys: A 76 key digital keyboard is only 12 keys less than a standard full sized piano. Although this small difference matters a lot when it comes to professionally playing piano. These keyboards have 45 white keys and 31 black keys. The layout becomes completely different. The first note on a 76 key keyboard would be E and the last note would be G.
61 keys: In comparison to a full sized standard piano, this digital keyboard has 27 less Based on a 61 keys layout of keyboard, it includes 36 white keys and 25 black keys. This type of keyboard begins with note C and even ends at the note C on the keyboard. 49 keys: As compared to a full 88 keys piano, it has 39 keys less. A 49 keys keyboard has a pattern similar to that of the 61 key starting from C and ending at It has 29 white keys and 20 black keys. 25 keys: This type of digital keyboard is really small. Mostly used by studio musicians and by effects engineers. These keyboards are used to add different kinds of effects to music. Not really used by pianists for learning and practicing purpose. It can be used for some special purpose only but if you want to play or learn piano, this type of keyboard would not be right choice for you. This keyboard includes 15 white keys and 10 black keys and layout begins with C and ends at C.
Which number of keys is best for beginners? Pianos and keyboards as discussed earlier are available with a varied range of keys beginning from 88 full sized keys to 25 keys only. In order to enjoy the realistic feel and experience of a full range piano, best would be to opt for models with 88 keys. What number of keys you need would truly depend upon your requirement for the range of music and kind of piano playing you are interested in. Small digital keyboards with 25 to 37 keys are strictly liked for their portability but are not really popular among professional pianists. Even professional piano teachers do not recommend their students to opt for such keyboards rather they prefer and encourage them to get a full 88 keys keyboard for learning and practicing piano. Try to look for a keyboard that has a size suitable for your needs. For example if you think that you would need to move and transport your instrument for learning purpose; is your keyboard portable? Look for a size that you can easily store and if space is not a problem; you can opt for a full piano. Too small a piano would surely lack in number of keys that you would need to gain your hands on piano professionally. Do not compromise on that. Make sure that before buying a keyboard, check for its dimensions (size) in order to make sure that the size is right for your place. In order to be able to play any musical piece efficiently, it would be best if you have the space and budget for a full 88 key piano keyboard. Before buying make sure that your prospective instrument would prove to be a futuristic instrument and would aid you in grooming yourself as a professional pianist. Any piano you buy irrespective of how many keys on a piano and keyboard are; remember that piano would have a repeated 12 note pattern that you can simple learn from a key chart. These patterns are repeated over and over again. For a full sized piano, these patterns are repeated for around 7 times and with reduced number of keys; this repetition of pattern would be lowered. Although for a pianist, number of keys that your piano has is really significant. So choose a model that has 61, 76 or 88 keys on its keyboard. The larger the keyboard, the more keys you will have and more limitlessly you will be able to explore different musical pieces on this instrument. But think carefully as large keyboards would be highly useful but not necessarily portable.